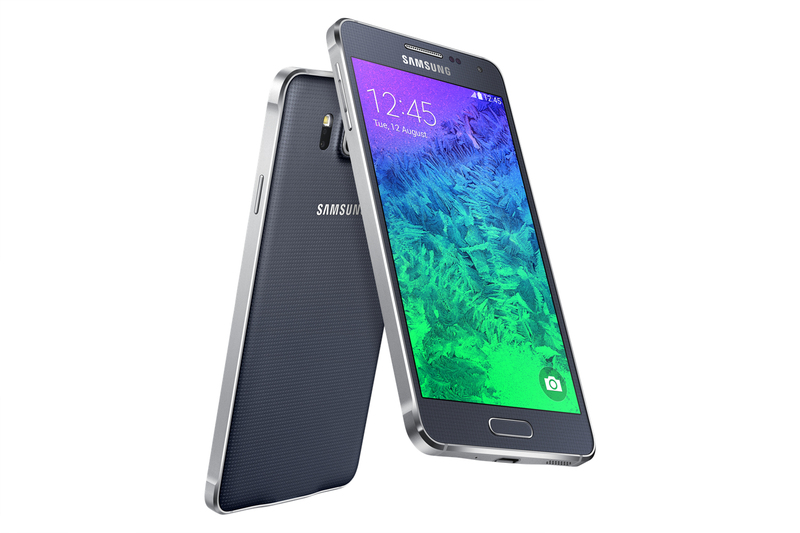 Samsung today has officially announced the Galaxy Alpha, the highly rumoured smartphone with a metal frame. The device’s actual name is the Galaxy Alpha which many thought was a pre-production nickname given to the device. The looks and specifications came as little surprise as the device was heavily leaked prior to announcement and most details were spot on. The Alpha has an overall shape similar to the legendary Galaxy S2 which is infamous for kickstarting Samsung’s rise to smartphone dominance. The Alpha is built around a metal frame with beautiful chamfered edges and features a 4.7 inch AMOLED display. The back of the device is plastic though, similar to the perforated pattern available on the Galaxy S5 but the tradeoff for the plastic back allows it to be removable enabling easy access to the battery and SIM card slot. However, the device come with 32GB built in storage with no ability to expand via microSD.The Alpha’s overall design looks very appealing albeit nostalgic but props must be given to Samsung for building it with a thin profile of only 6.7mm. The Galaxy Alpha may be the first signs of Samsung attempting to move towards metallic devices with less use of its highly criticised plastic. Then again, it may also be that the Alpha line is an exclusive line of metallic smartphones from the South Korean company. The Alpha is set to launch in early September in five colours: Charcoal Black, Dazzling White, Frosted Gold, Sleek Silver, and Scuba Blue. The handset will launch in 150 different markets with a suggested retail price of 599 Euros. That however is subject to change as it has not yet been confirmed.